Progressive Web Applications (PWAs) are popping up everywhere and I like to test and highlight some of the most interesting, as long as they work well in Edge under Windows 10 Mobile (thankfully, most do). 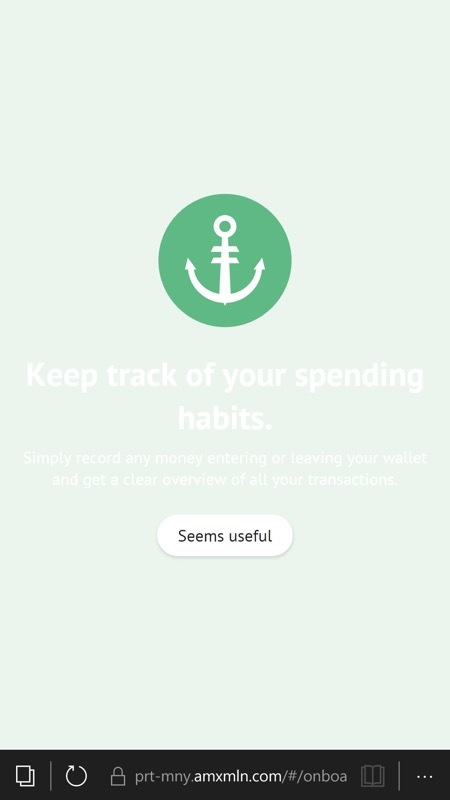 In this case, we have a fully featured money manager - all in a web browser tab on the phone. Which is pretty cool. Of course, you can turn this into an 'app' yourself with PAWA or just pin it 'as is' on your Start screen. It's up to you. 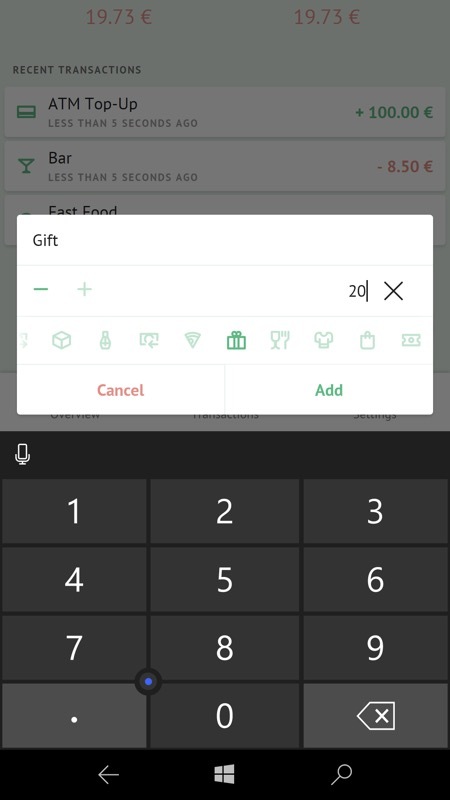 Tap the big '+' to add a transaction and then it's a case of picking a category from the horizontally scrolling list of icons and optionally editing the transaction title. 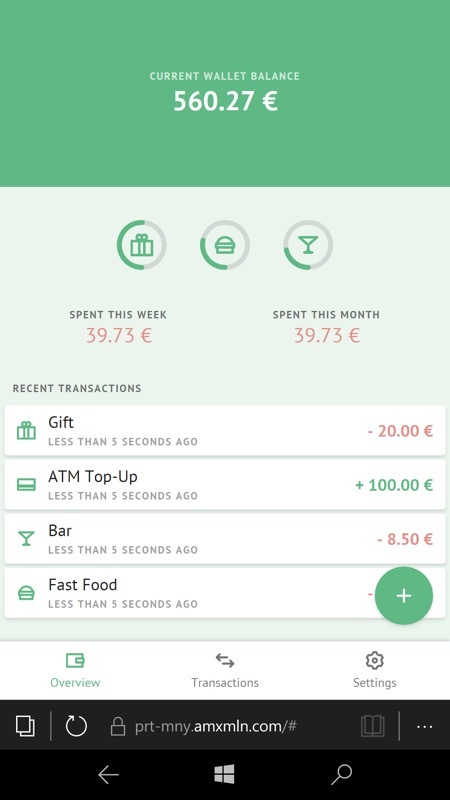 Plus how much you spent, of course! 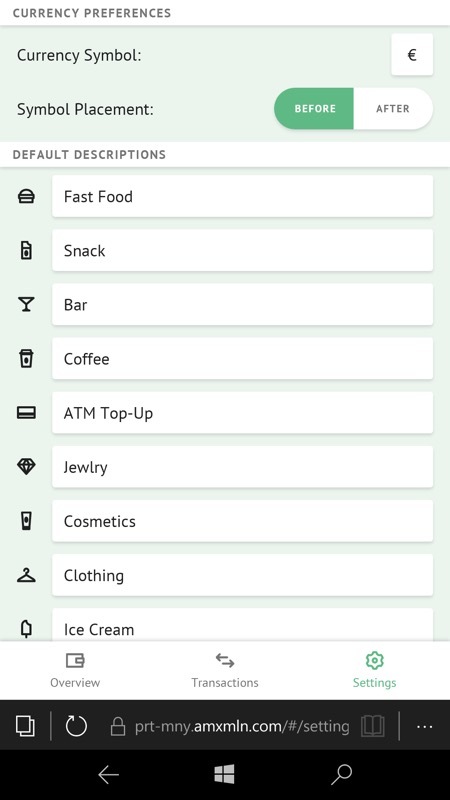 (right) In Settings, you can customise currency and categories, plus an 'Import' and 'Export' function. As you'd expect from a PWA, there's some local data storage and this seems to keep my data OK from session to session, which is a relief. But there's one glitch which probably makes the PWA a non-starter for any serious management and that's that the 'Export' function doesn't work at all currently in Edge. At least for me. Ouch. Still, a fun PWA to play with and with a little work this could be a useful app.